This claim ought to be taken with a rather large pinch of salt. It is clearly true that it is becoming increasingly difficult for BP to sustain its corporate partnership with the Tate, but the decision to end the sponsorship deal is hardly economic, as the statement from BP suggests. The few hundred thousand pounds a year that BP donates to the Tate are pitifully small sums when viewed in comparison with BP’s total turnover (and the fact that BP could still afford to give its CEO a 25 per cent pay rise in 2015). And, in return for such small sums, BP receives invaluable propaganda from the Tate. Although BP spokespersons deny it, the fact is that mounting public pressure has been important in forcing this business decision. 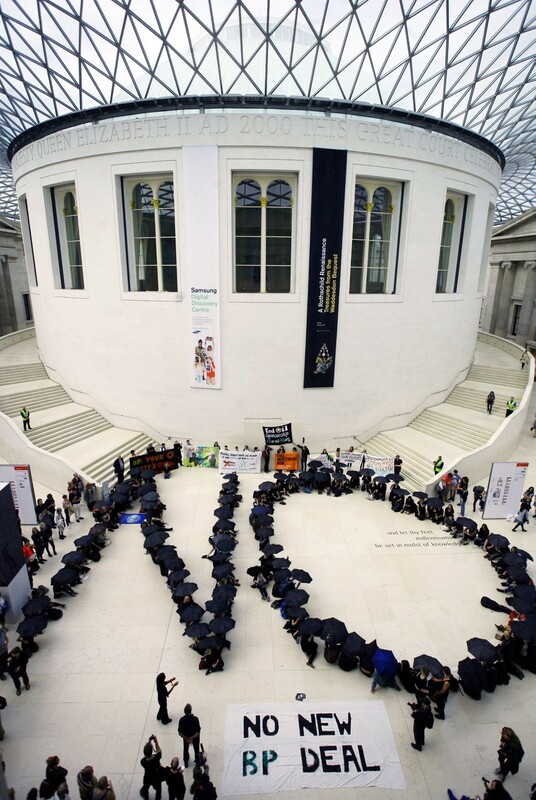 For years, a number of artistic collectives, including ‘Liberate Tate’ and ‘BP or not BP?’, have been taking creative direct action as part of a push to get Britain’s art galleries and museums to drop BP sponsorship. 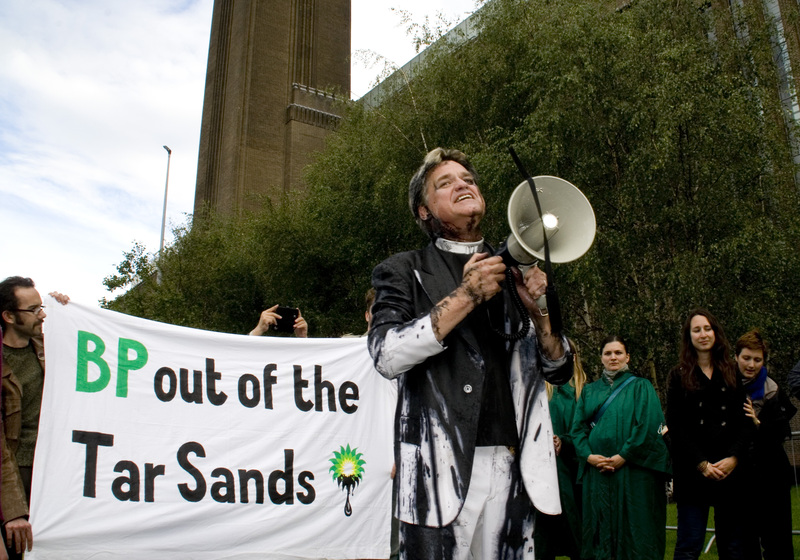 These actions have ranged from recreating oil spills within gallery spaces, to performances of Shakespeare adapted to highlight BP’s human rights violations, and even to an occupation of the Tate Britain in which activists were tattooed with the numbers of the concentration of CO2 in the atmosphere in the year in which they were born. With the help of widespread media coverage, these stunts have served to draw public attention to two things. 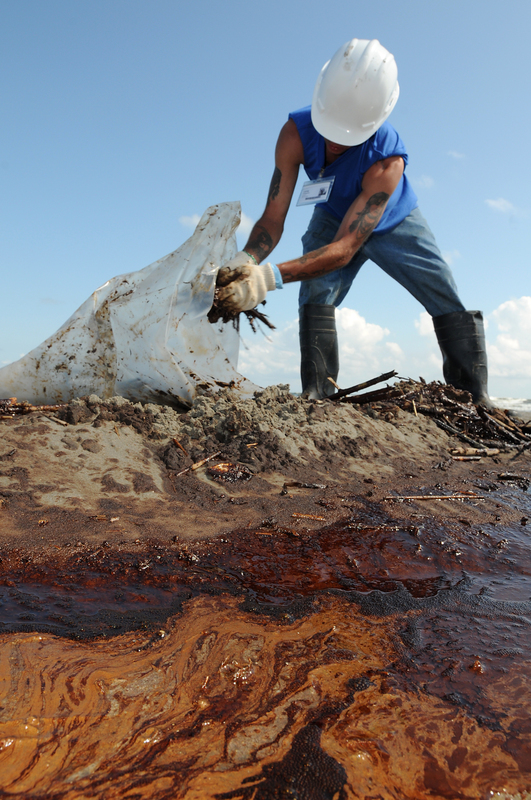 The first is the extent of BP’s environmental and humanitarian crimes. In 2015, BP was placed at the top of a list of companies blocking climate action in Europe. They have caused catastrophes across the world; the 2010 Deepwater Horizon spill saw 4.9 million barrels of oil devastate the Gulf of Mexico and the Niger Delta region has been ravaged for years. It is also embroiled in innumerable cases of human rights abuses. In Columbia they are fighting cases regarding neglect of agricultural lands and alleged complicity in kidnap and torture. It is not only cultural institutions such as the Tate, the National Portrait Gallery, the British Museum and the Royal Opera House that legitimise the fossil fuel industry in this way, but also our own University. Warwick is home to BP’s only UK-based corporate archive, which is located in the Modern Records Centre. As openly acknowledged on BP’s website, an aim of the archive is “to enhance its reputation” – an aim achieved by the legitimacy that the relationship with the University confers on the company. 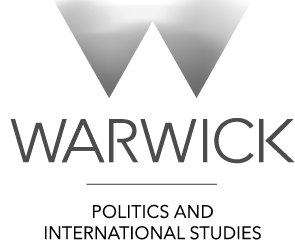 This propaganda effort has been condemned by Warwick student activists from the ‘BP Off Campus Campaign’, who last month – with the help of ‘BP or not BP?’ – took part in a creative protest outside the archive. This fight against the presence of the oil industry in the arts and education forms part of a broader struggle against the neoliberalisation of public spaces. Through sponsorship deals, oil companies are effectively able to buy the power to shape the knowledge and narratives with which public institutions engage. This creates a conflict between the interests of the oil company and the ability of art galleries and universities to be spaces in which cultural hegemony can be freely challenged. As Martinez puts it, “the acquiescence of the art world to destructive corporate interests drowns out the message of the art for which it provides a public platform.” Any action taken against partnerships between galleries and oil companies is therefore not only action against oil companies, but also action taken to protect public institutions from the inroads of the market. The exhibitions which oil companies choose to sponsor also warrant further scrutiny. Last summer, BP sponsored an exhibition at the British Museum entitled “Indigenous Australia: Enduring Civilisation”. 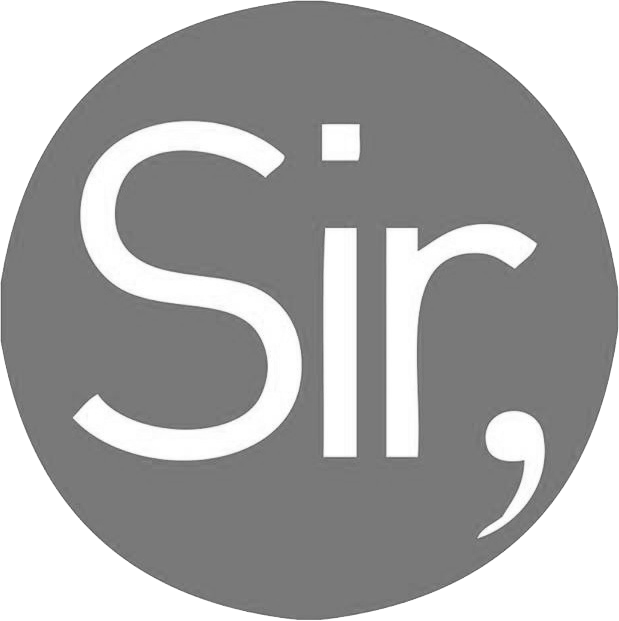 The exhibition aimed to – in its own words – “present a history of Indigenous Australia through objects, celebrating the cultural strength and resilience of both Aboriginal peoples and Torres Strait Islanders.” The sponsorship of this exhibition is a clever PR tactic, aimed at diverting attention from the atrocities BP commit on a global scale. The objects of this deflection are twofold: from its history of appalling treatment of Indigenous communities across the world (as on its tar sands project in Canada and its oil spill in Louisiana) and from current attempts to push through plans to drill for oil in the Great Australian Bight. The audacity of such deflection techniques was not lost on ‘BP or not BP?’, who twice succeeded in disrupting the exhibition with theatrical protest. The end of the corporate partnership between the Tate and BP demonstrates the power of creative direct action taken against the oil industry. This is important not only as part of the fight against climate change, but in order to highlight the inseparability of environmental terrorism from both British colonialism and the stranglehold of the market over our cultural institutions. Clare Hymer is Arts & Culture Co-Editor of the Warwick Globalist. She is currently studying for an MA in Philosophy.